I honestly think that everyone dresses way better when it is cold, I can speak for myself and a couple of my friends. I completely disregard the weather when it comes to clothing especially when it is sunny. I am that guy who is always wearing black or layered up and its 27 degrees Celsius outside. The beauty about tan and brown is that they work for any weather and they are for color combinations. My love for Chelsea boots has been fuelled especially by the fact that The Raim has them readily available in different colors. (Check out the pink ones I had on for my last post here) Boots are definitely perfect for cold weather or hot weather however I do advise if you are going dancing in the rain, proper leather boots will do the job , not suede. The beauty about style is that you can play around with the items you have in your wardrobe and come up with different looks. For this tan and brown look , I paired my outfits very precisely. 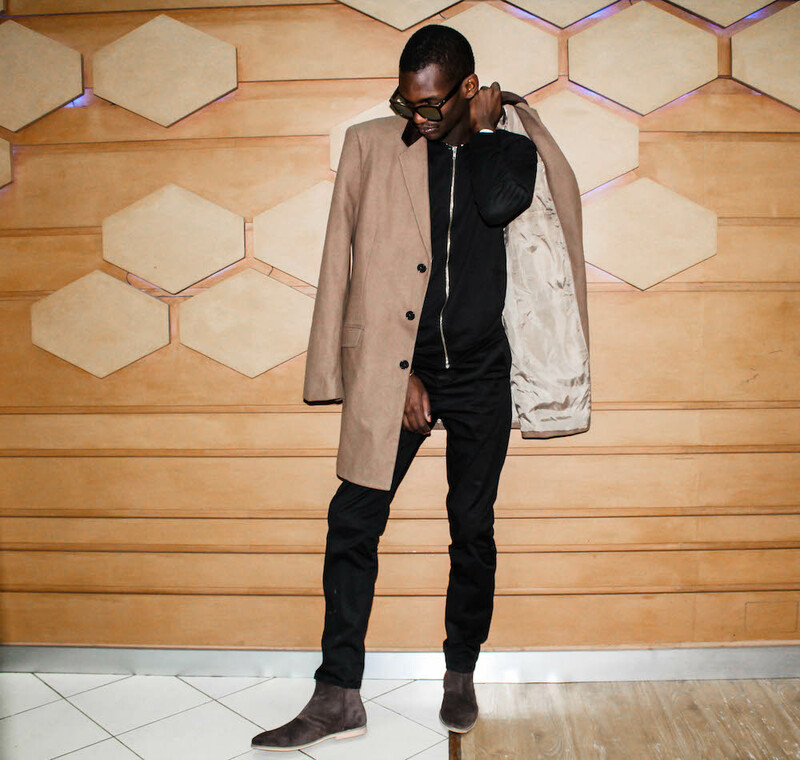 Notice the shade of tan in the collar of the simple longline trench coat matches the color of the Chelsea boots. I do not condone matchy matchy unless you are going full on print on print, or monochrome but I do advise you pair same color tone items in a subtle manner. The key to getting pastel right is to steer clear of a color explosion and instead swirl a single piece in the shade with black and white denim.